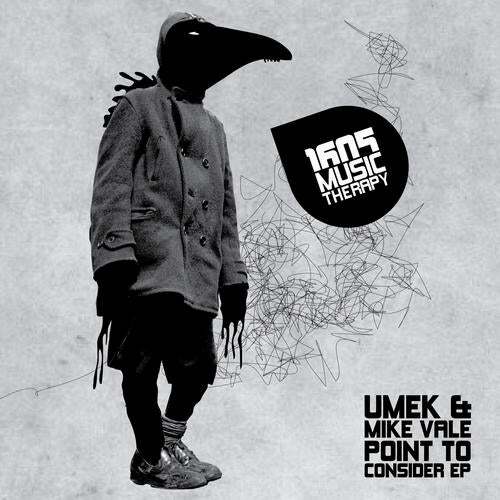 Umek teams up with fellow Slovenian Mike Vale and they whip up a blistering two-tracker in the form of the "Point To Consider" EP. Relying heavily on melodic chord stabs, the original bounces along playfully with some shuffling percussion and an electrified bassline, before letting some steam out during the apocalyptic breakdown. Things take a housier turn on "How's Your Body", with even more percussive elements and a sing-along vocal. Again, some tasty stabs keep the momentum high, and everything gets kicked up a notch, to maximum effect.